The Minnesota Vikings have re-signed backup center Brett Jones, the team announced Monday. Acquired in a trade with the New York Giants last August, Jones made 14 appearances for the Vikings last season, starting three games at center. Jones, 27, made 30 appearances for the Giants 2016-17, including 17 starts. 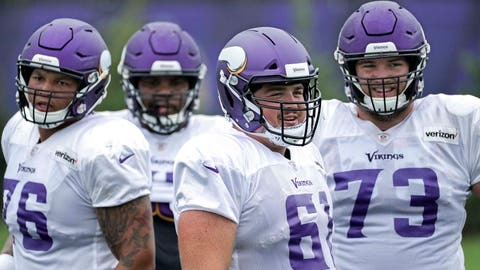 The Vikings’ offensive line is an area of significant concern entering the 2019 season. Quarterback Kirk Cousins was sacked 40 times in 2018 — tied for 10th among NFL quarterbacks — while the Vikings averaged just 93.3 rushing yards per game last season, 30th in the league. A native of Weyburn, Saskatchewan, Jones was a second-round pick of the CFL’s Calgary Stampeders in 2013, winning the league’s Most Outstanding Offensive Lineman award in 2014.